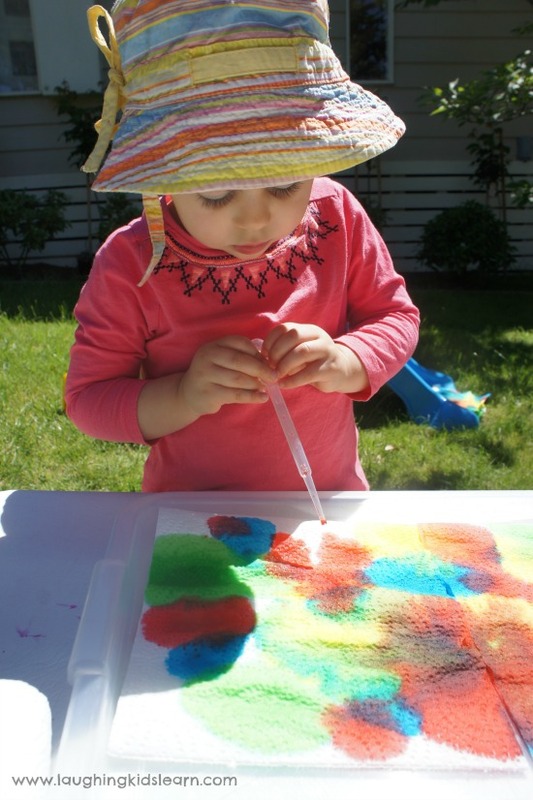 If you’re looking for an activity for your little one that is simple to set up, will have them engaged in learning about colours and developing fine motor skills then I present this fun and creative approach to painting. 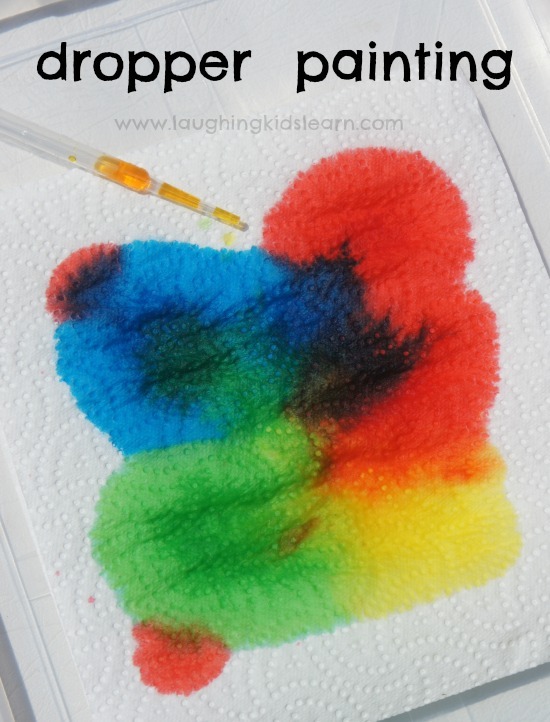 It’s dropper painting for kids. Possum (almost 3 years old) absolutely loved, loved, loved this painting activity. She really didn’t want it to end and that only happened because I ran out of paper towelling. Doh! As you can imagine, paper towelling was added to the shopping list for us to play this again. 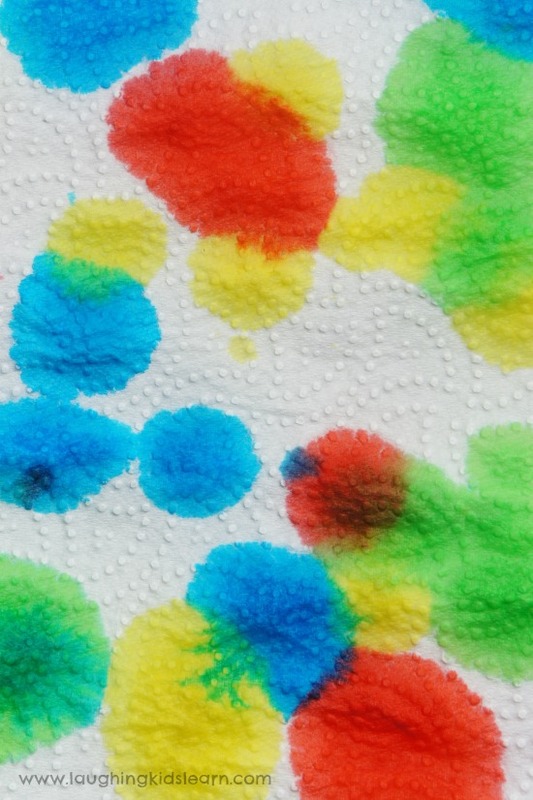 Simply add 10 drops of food colouring to a cup and mix in 4 tablespoons of water. 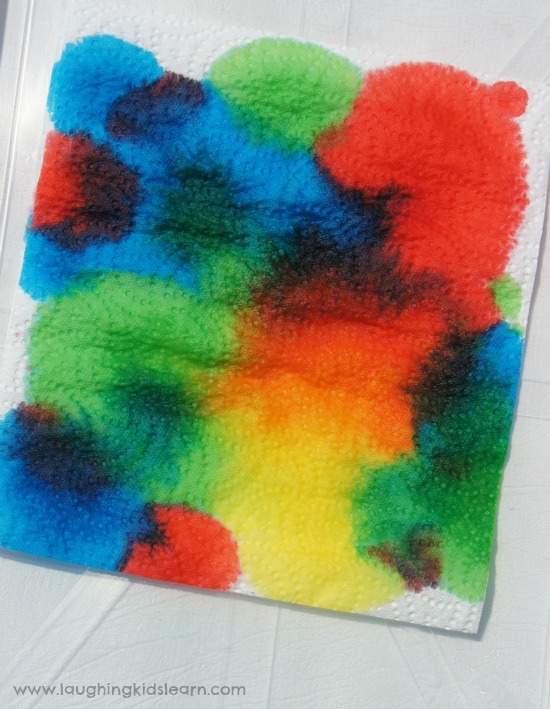 This will make your ‘paint’ that your child can draw up into a plastic dropper and drip onto the paper towelling. 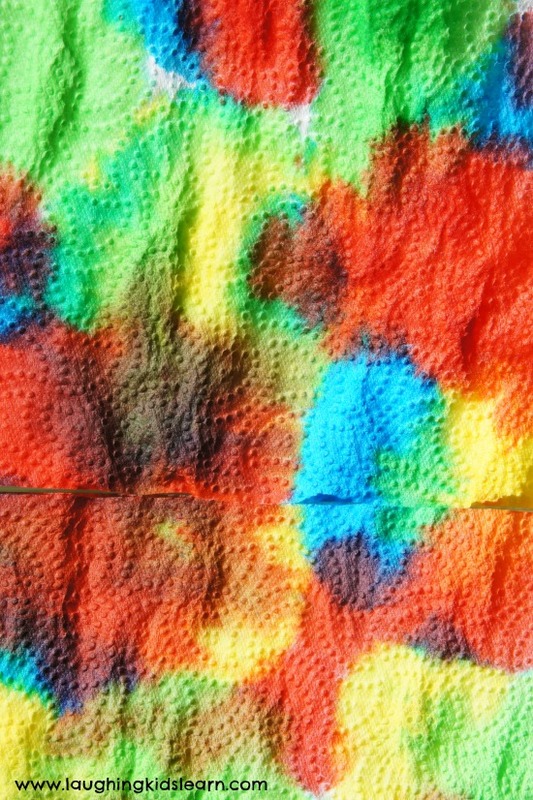 I recommend placing some kind of tray under the paper towelling to ensure the colouring doesn’t seep and stain any surfaces. 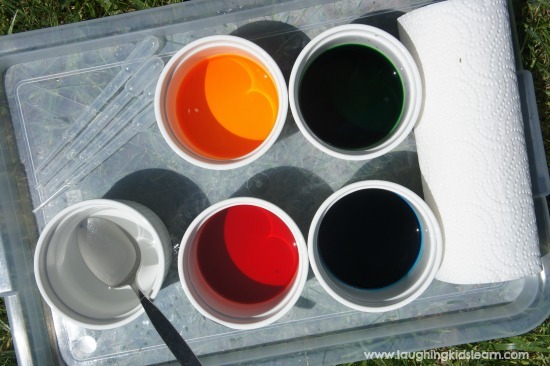 As you can just imagine, this activity is wonderful for helping support children and their understanding of colours. 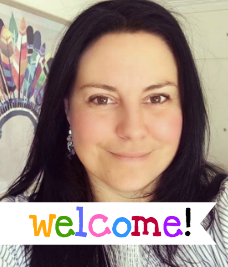 I decided to only offer Possum basic primary colour ‘paints’, as I knew the activity for later lend itself to us talking about mixing colours together and making new colours. 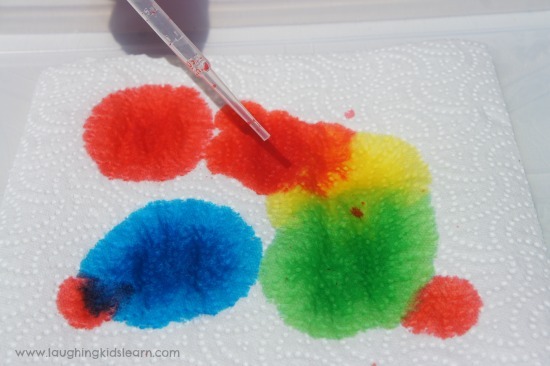 Possum had never used droppers (or pipettes) prior to doing this activity and so I did need to give her some instructions on how it worked. 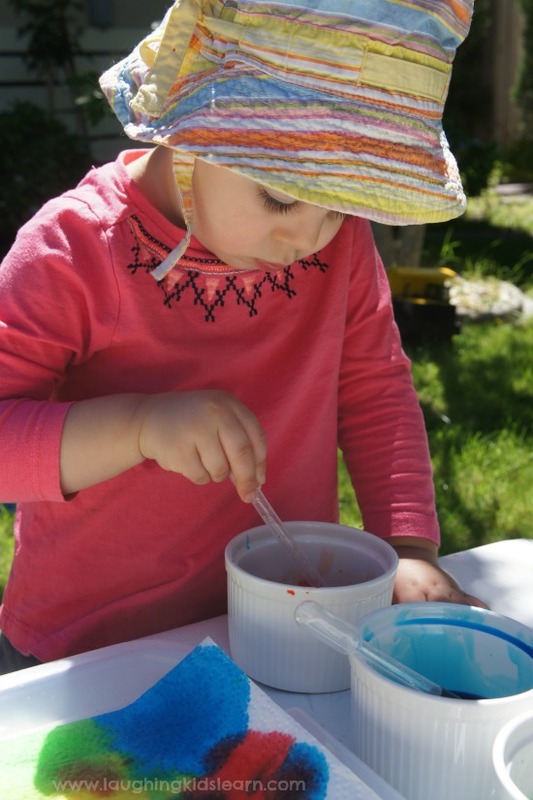 She grasped the idea but struggled to draw up the liquid independently. This simple challenge was resolved by me drawing up the liquid into the droppers for her and then just allowing her to pinch the ends to cause the drips. 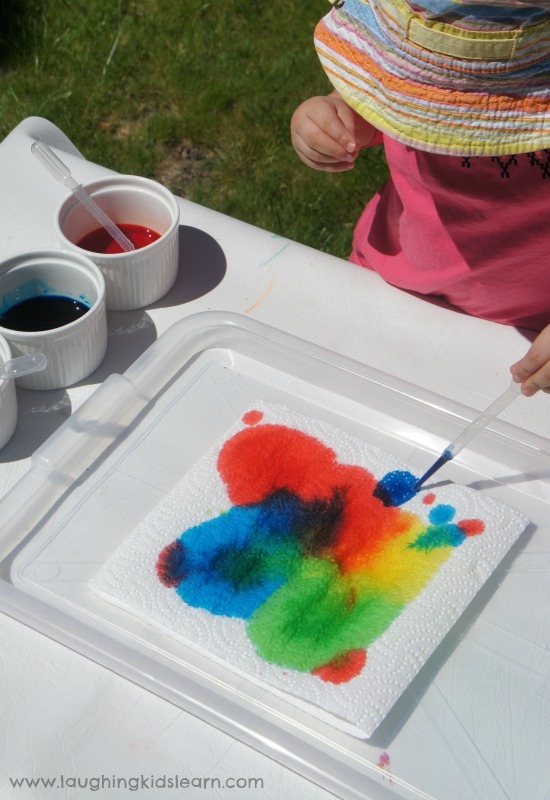 What a wonderful way for children to paint! So creative and something a little different from using your typical paints. 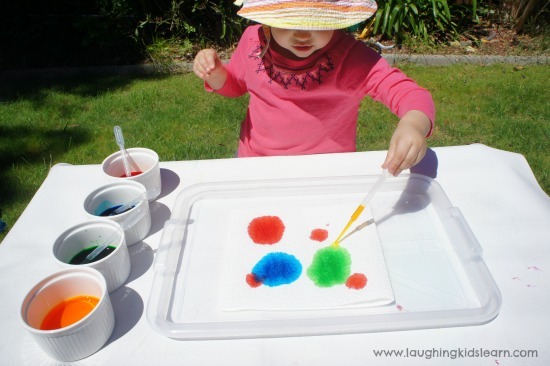 I love that this activity can be easily done outdoors and simple enough to set up when stuck indoors. I would probably suggest having a towels on the floor when inside, to catch any accidental spills. 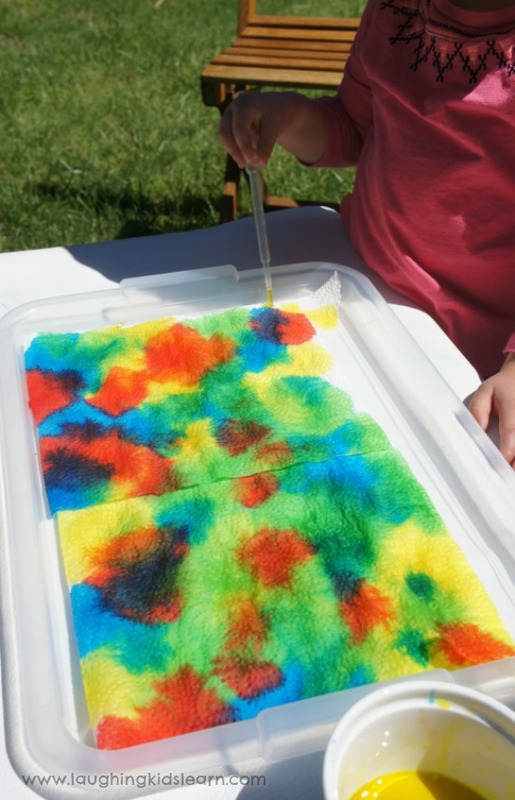 I can’t recommend this activity enough for children. It was so much fun and I know that it will be done at our place many times in the future. Although it isn’t my own idea, there are many others who have done it before me, it will certainly be one we will repeat in the future. 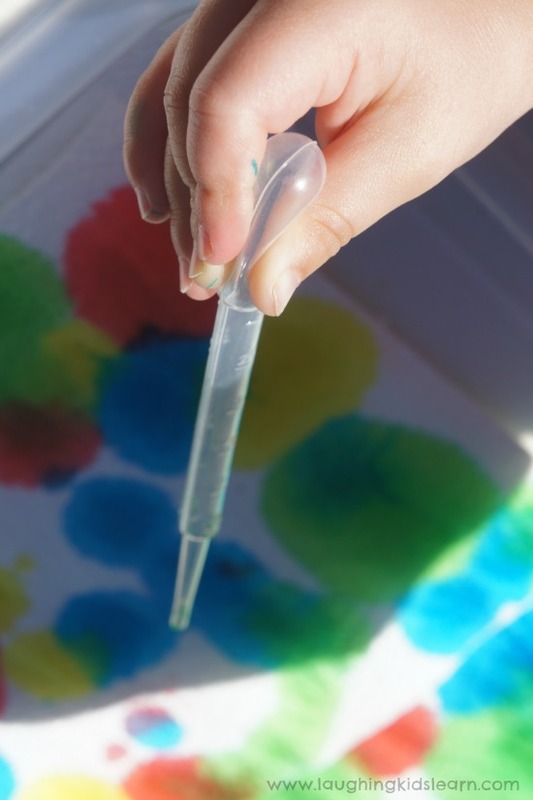 Do you think your children would enjoy this creative painting approach? we love to do out water activities outside too! Such beautiful photos! This is definitely on our “to-do” list! thank you for sharing! pinned! My girls love this too! This is one of our all time, total, absolute, favourite activities! So much fun to do, so much learning, and the results are also beautiful! I love the vibrancy of the colours and the way they mingle together. My kids would love this too. I imagine water colour paper would also be nice to work with. This looks great. Where do you get your pipettes from?